Flight or fight? 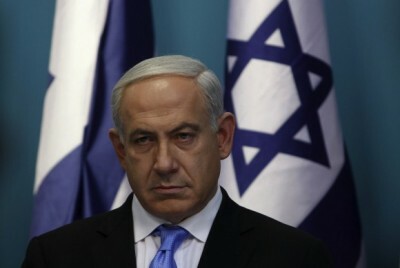 It appears that because the report took a critical stance in questioning Israel’s motives and actions during last summer’s 51-day-bombardment of Gaza and the West Bank, Netanyahu is more willing to bow out altogether than to confront the issues detailed in the report head-on. Some crucial findings: Since Operation Protective Edge, Netanyahu and other Israeli officials have maintained the same assertion— that Israel did everything in its power to avoid hitting Palestinian civilians and that it went above and beyond the standards of international humanitarian law. The U.N, report contradicts that very claim and others—in its principal findings and conclusions. In Gaza, as Palestinians struggled to find ways to save their own lives and those of their families, they were confronted with intense attacks, with no way of knowing which locations would be hit and which might be considered safe.” Additionally, “Regarding precautions, the Israel Defense Forces stated repeatedly that its measures were more stringent than those required by international humanitarian law. In many incidents, however, the weapons used, the timing of attacks, and the fact that the targets were located in densely populated areas indicate that the Israel Defense Forces may not have done everything feasible to avoid or limit civilian casualties.” And finally, “The limited effectiveness of the above-mentioned precautionary measures must have become abundantly clear in the early days of the operation, given that many buildings were destroyed, together with their inhabitants. The apparent lack of steps to re-examine these measures in the light of the mounting civilian tollsuggests that Israel did not comply with its obligation to take all feasible precautions before the attacks. Further, the report criticizes Israel over its lack of credibility in self-conducted investigations: “Moreover, the investigations process followed by the Israel Defense Forces focuses on possible individual criminal responsibility at the level of the soldier on the battlefield. Even where the behaviour of soldiers and low-ranking officers during hostilities has come into question, however, this has rarely resulted in criminal investigations.” Ultimately, this shows that even in committing violations on an independent level, Israel grants the members of its military force the utmost impunity.